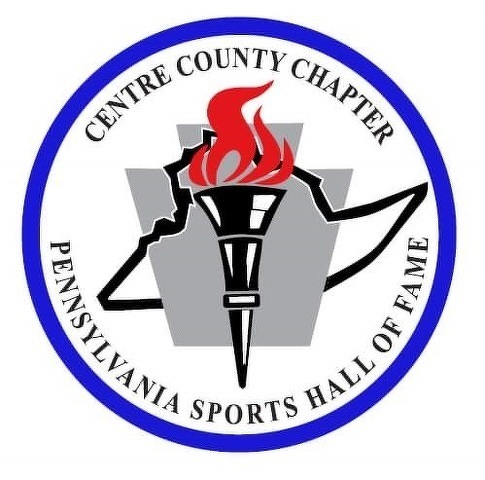 The members of the Centre County Chapter of the Pennsylvania Sports Hall of Fame have elected the third class of inductees. It’s a class that includes football players, baseball players and wrestlers, as well as an Olympic swimmer. They went on to coach, teach, become public school administrators and work in private industry. Breaking them down by school there are four from Bald Eagle Area, four from Bellefonte, three from State College and one who started his high school career at Snow Shoe and finished at Bellefonte. “It’s a very diverse class,’’ said Bucky Quici, who has succeeded Ron Pifer as the president of the chapter. “We are recognizing some really good people, people who have been honored by their peers, respected by the people in their communities. “Each year we have grown and grown and recognized people who are just outstanding people who are deserving. And I’m sure there are people who didn’t make it that some people think should have made it,” Quici continued. “The thing is, we’re not tied to the idea that there has to be a representative from each school district in the class. ‘"
Pifer’s three-year term as chapter president expired this year. Inductees are selected by a vote of the membership. To be able to nominate someone and then vote in the election it’s necessary to be a member of the hall of fame. Membership applications are available from members of the board of directors. Applications will also be available at athletic events at each of the Centre County high schools. Members of the newest class from Bellefonte are Sam (Fuss) Nastase, Andy Thal, Don Robinson and the late Tom Riglin. BEA is represented by Allan Fisher, Jeff Miles, Steve Wiser and the late Mike Condo. State College members are Mike Archer, Jane Brown and Steve Gentry and Penn State’s representative is the late Ed Drapcho. Nastase was the co-captain of the first undefeated Bellefonte football team in 1968. He was a first-team AP and UPI all-state selection and was named to the Big 33 football team and was selected as a Scholastic Magazine All-American as an offensive lineman. He received a scholarship to play at West Virginia where he played one year under Jim Carlen and three years for Bobby Bowden. Robinson is a BEA graduate where he won two letters in baseball and two in basketball. He was a two-year letter winner at Penn State, starting at third base in 1961 and second base in 1962. He was a head baseball coach at Bellefonte for 18 years where his teams won seven Central Penn League titles and four District 6 championships. His teams compiled a record of 193-99-1 record. He later served as an assistant coach under Denny Leathers for 18 years. Thal was a three-year letter winner in wrestling at Bellefonte. He later was a respected wrestling official for 20 years before retiring in 1988. He was also a team manager in the Bellefonte Little League for 35 years. Riglin was Bellefonte’s first state wrestling champion, wining in 1948 while wrestling for the legendary Glenn Smith. He went on to college at F&M where he wrestled, ran cross country and track. He was an Air Force pilot who was killed in a plane crash in 1957. Outstanding Wrestler. His career winning percentage remains the highest in school history among wrestlers who wrestled more than 40 matches. Miles, a 1978 BEA graduate who is now the district’s superintendent of schools, earned nine varsity letters. He rushed for 1,720 yards his senior season which remains the school record and scored 26 touchdowns. He is a 1982 graduate of Juniata College where he lettered in football and baseball all four years. He was an All Middle Atlantic Conference selection in three years in each sport. In 1981 he led the country (Division III) with a .509 batting average. He was recognized as the senior athlete making the greatest contribution to Juniata athletics and was named to the inaugural class of the Juniata Hall of Fame and the MAC All-Century team in baseball in 2012. Wiser was a PIAA runner-up at 138 pounds as a sophomore in 1968. At Lycoming he was a two-time MAC place winner and a first-team MAC pick as a linebacker in 1973. He has been Lycoming’s defensive coordinator since 1977 and his teams have been No.1 in the country in rushing defense three times, total defense twice and scoring defense once. Lycoming has won 15 conference titles and appeared in the NCAA Division III playoffs12 times and the national championship game twice, 1990 and 1997 during his time there. Condo won a total of nine letters in football, track and basketball at BEA from 1962-64. He was a first-team AP All-State choice at running back in 1963 when he starred on BEA’s first undefeated team. In tack he won the 1964 District 6 100-yard dash. He was a Big 33 selection and played on the only Pennsylvania team to ever beat Texas. He went on to start for three years in the secondary at Minnesota where the Gophers won the 1967 Big Ten title — the last conference championship the Gophers have won. He passed away on his 70th birthday in October of 2016. Archer lettered in football, basketball and baseball at State College before attending Miami where he started in the secondary. He has more than 40 years of coaching experience including four years as the head coach at LSU and seven years as an assistant coach with the Pittsburgh Steelers. He has also coached at Virginia, Kentucky and N.C. State. Brown owns a pair of Olympic gold medals in swimming. She was a three-time national champion and swam on the 1968 women’s 4x100 freestyle relay team as a 17-year old. That team set a record in the finals with a time of 4:02.5. He also won a bronze medal in the 200 meter freestyle. In 1972 she swam on another gold-medal relay team that set a world record of 3:55.19 in the 4x100 finals at Munich. She was a tri-captain of that team and was a Torchbearer at the 1996 Atlanta Olympics. She later became the coach of the women’s swim teams at Tennessee and Princeton and was an assistant men’s coach at Penn State for 10 years. Gentry won two PIAA cross country championships and in track he was a champion and a runner-up in the mile, was second in the half-mile and anchored the winning 4x800 relay team. He was second at the National Indoor Championship mile. At Penn state he earned three letters in cross country and three in track. He became the head coach of the state college girls’ cross country and track teams, which won seven PIAA team titles. Drapcho began his high school career pitching for Snow Shoe before moving to Bellefonte. He went on to pitch at Penn State and later was the head baseball coach at Penns Valley. While at Penn State he won 12 straight games and posted a 1.52 ERA his senior season. His career record at Penn State was 29-3. A left-hander, he earned All-American honors and still holds numerous school records. In 1957 he led the Nittany Lions to a 22-2 record and a runner-up finish in the College World Series. He pitched for eight seasons in the minor leagues, reaching the AAA level before retiring in 1964. He coached and taught at Penns Valley for 29 years before passing away in 1997. The newest members of the hall of fame will be honored at a banquet at the Penn Stater on Oct. 27.